Intel could soon have eight-core processors to rival AMD’s Ryzen 2nd generation CPU lineup. Redditor Dayman56 sniffed out three internal documents referencing ‘Coffee Lake S 8+2’ parts that could point to the company’s first eight-core mainstream processors. The ‘8+2’ naming likely refers to eight-cores paired with two-integrated GPU cores given that the current Intel Core i7-8700K processor labeled with a 6+2 processor configuration. The trio of documents – which were locked behind an Intel login and have been since removed as of this writing – outlined technical elements including the mechanical packaging of the chips and DDR4 memory support. Although there isn’t any mention of chipset or compatible motherboards, we highly suspect these processors will be introduced along a new Z390 motherboard. Rumors about the new 300-series chipset have been swirling since mid-last year with leaks of motherboards from SuperMicro and BioStar. 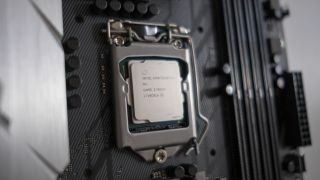 Now as for what generation these eight-core processors might fall under, they will likely sit in the same 8th generation umbrella for the current Coffee Lake processors. We imagine the processors could be an extension of the existing lineup as a new Intel Core i9 for Intel’s mainstream series.